Liz Halloran joined NPR in December 2008 as Washington correspondent for Digital News, taking her print journalism career into the online news world. Halloran came to NPR from US News & World Report, where she followed politics and the 2008 presidential election. Before the political follies, Halloran covered the Supreme Court during its historic transition — from Chief Justice William Rehnquist's death, to the John Roberts and Samuel Alito confirmation battles. She also tracked the media and wrote special reports on topics ranging from the death penalty and illegal immigration, to abortion rights and the aftermath of the Amish schoolgirl murders. Before joining the magazine, Halloran was a senior reporter in the Hartford Courant's Washington bureau. She followed Sen. Joe Lieberman on his ground-breaking vice presidential run in 2000, as the first Jewish American on a national ticket, wrote about the media and the environment and covered post-9/11 Washington. Previously, Halloran, a Minnesota native, worked for The Courant in Hartford. There, she was a member of Pulitzer Prize-winning team for spot news in 1999, and was honored by the New England Associated Press for her stories on the Kosovo refugee crisis. She also worked for the Republican-American newspaper in Waterbury, Conn., and as a cub reporter and paper delivery girl for her hometown weekly, the Jackson County Pilot. Attorney General Eric Holder announced Monday that the Obama administration is formulating new rules that would give it, and the president, far more latitude to pardon or reduce the sentences of thousands of drug offenders serving long federal prison sentences. The move comes amid a broad national reconsideration of mandatory minimum sentences approved by Congress in 1986, when America's big cities were in the grip of a crack cocaine-fueled crime wave. 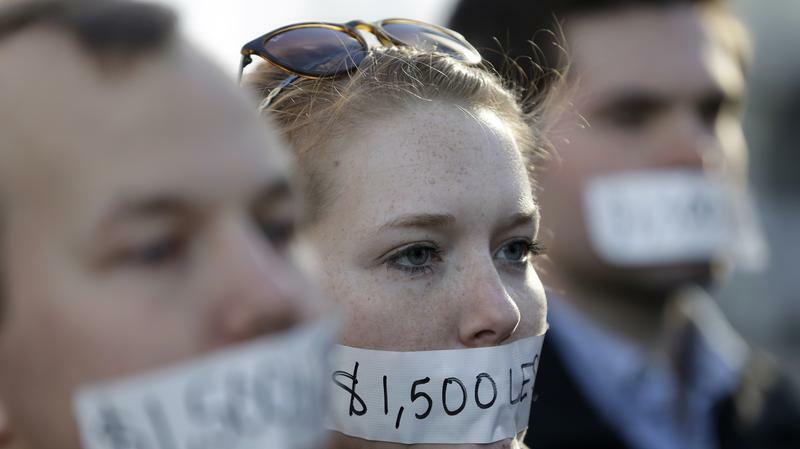 The close of 2013 has been marked by a vigorous national debate over income inequality, the plight of low-wage workers in America and the effect of boosting mandatory minimum wages. The debate was magnified when Wal-Mart got unwanted attention for a store-based holiday food drive for its own needy workers, and when President Obama announced his support for legislation that would raise the national minimum hourly wage of $7.25 for the first time since 2007. On most recent days, nothing that wasn't bitterly partisan has seemed possible in the nation's capital. On Tuesday, the city got its exception. Republican Tea Party Sens. 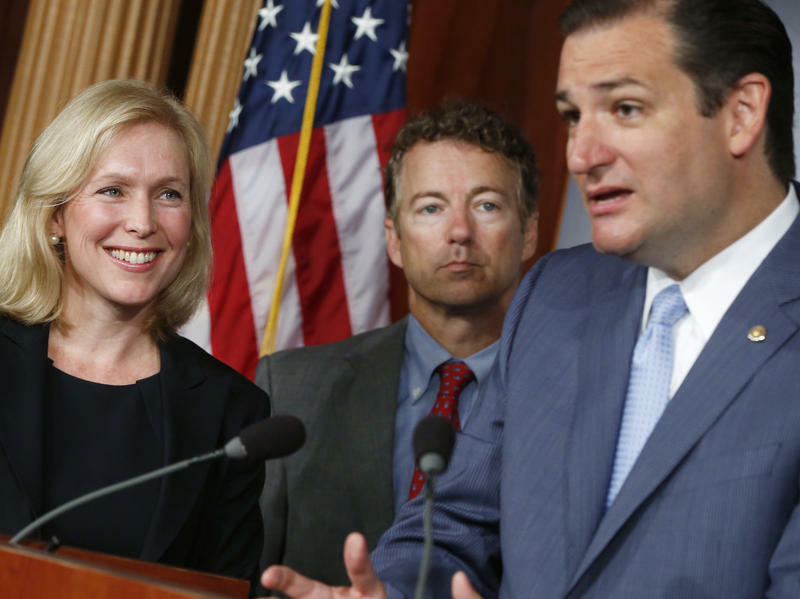 Rand Paul of Kentucky and Ted Cruz of Texas stood with liberal Democratic Sen. Kirsten Gillibrand, endorsing her bill that would dramatically change how military sexual assault cases are reported and prosecuted. The Texas political class has been abuzz this week about more than just Democratic state Sen. Wendy Davis' abortion bill filibuster-heard-round-the-nation. The other occupying parlor game: Whether three-term Republican Gov. Rick Perry intends to seek an unprecedented fourth full term. CNN and other news organizations reported Tuesday afternoon that Perry, a failed 2012 GOP presidential candidate, plans an announcement Monday about his "exciting future plans." 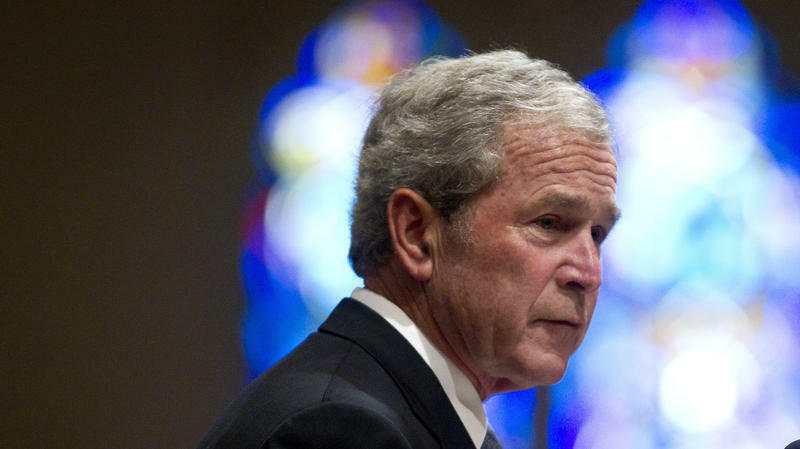 A poll released days before the opening of George W. Bush's presidential library in Dallas is serving as fodder for some sequestered GOP nostalgia about his two terms in the White House. 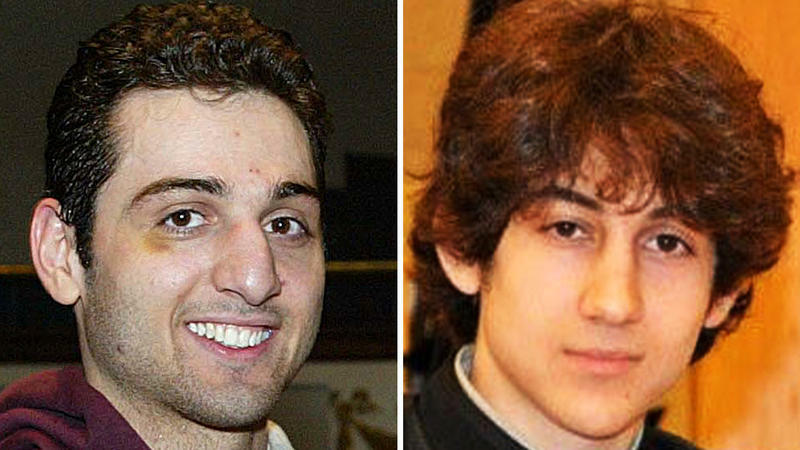 The suspects in Monday's deadly Boston Marathon explosions and the Thursday night murder of a police officer at the Massachusetts Institute of Technology are two brothers from a former Soviet republic who were in the United States legally for years, and lived together in a Cambridge, Mass., apartment. 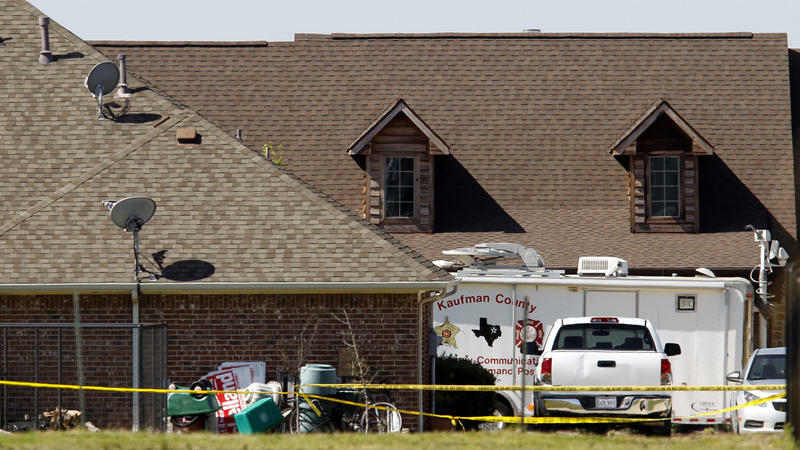 Two county prosecutors fatally shot in Texas. Colorado's top prison official gunned down. And a dozen more members of the U.S. justice community — ranging from police to judges — victims of targeted killings since the beginning of the decade. 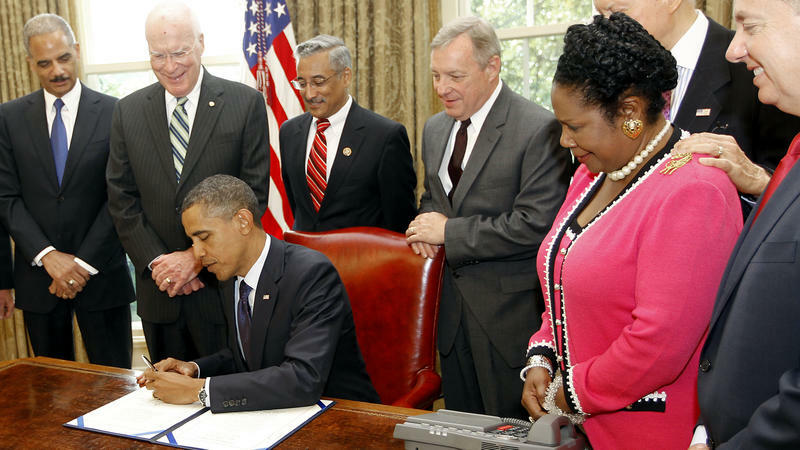 The nation has twice elected an African-American president. Black voters have been turning out for general elections in rates that for the first time in U.S. history rival those of whites. You may have heard that banned-for-life pro cyclist Lance Armstrong, in an interview with Oprah Winfrey, has admitted to doping. You may have heard that he apologized (tearfully, reportedly) to employees at Livestrong, the foundation he started in 1997 after surviving testicular cancer. You may have heard that he reached out to make nice with people in the cycling world whom just months ago he was branding as liars and worse, and that he may pay back some bike team sponsor money. 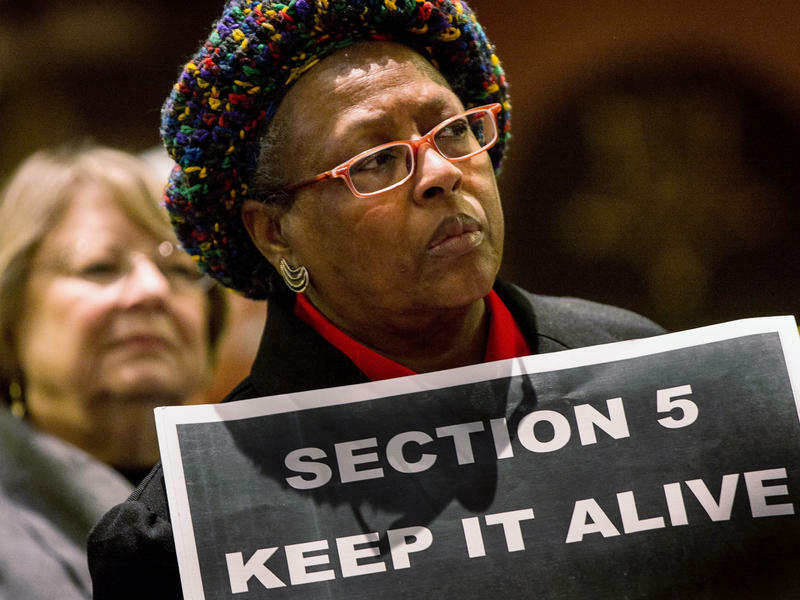 No one can argue the setback to organized labor served up by Michigan's new law, which bars unions from requiring workers to pay dues even if they don't join their workplace bargaining unit. Tuesday's passage of "right to work" legislation in a state dominated by the auto industry and the historically powerful United Auto Workers was a surprising "smack in the face" to unions, says labor expert Lee Adler, especially given President Obama's nearly 10-point win in the state last month. 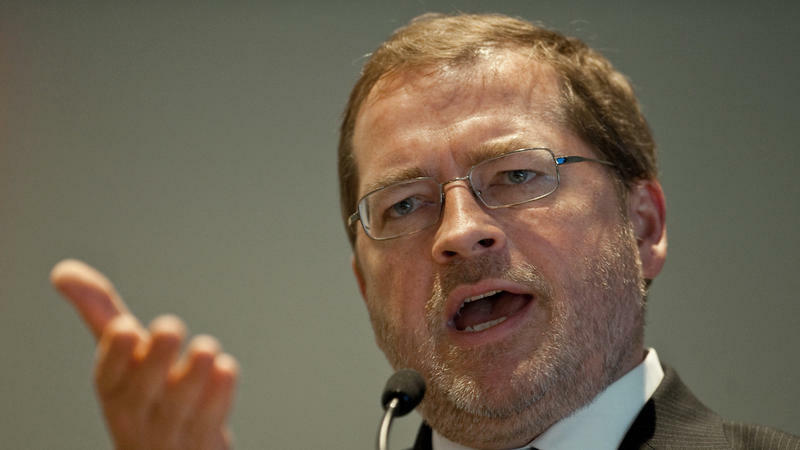 A handful of congressional Republicans after finishing their Thanksgiving dinners decided to give anti-tax crusader Grover Norquist the brushoff, saying they wouldn't abide by his "no new taxes" pledge as they work on a budget deal. "Move over, Grover?" read one headline. 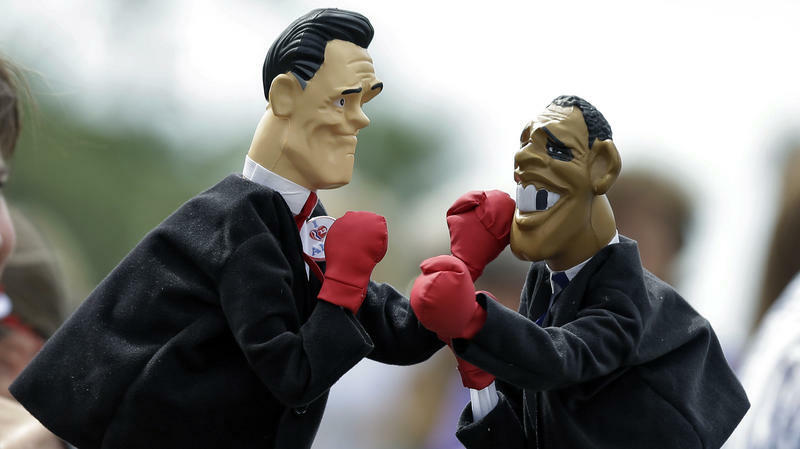 Voters were frustrated by a 2012 presidential race they called more negative than usual and more devoid of substantive discussion of issues, according to a survey released Thursday by the Pew Research Center. And voters are pessimistic about the prospect of a more productive Congress, Pew found. Two-thirds of registered voters surveyed after Election Day said they believe relations between Democrats and Republicans will stay the same or worsen over the coming year. 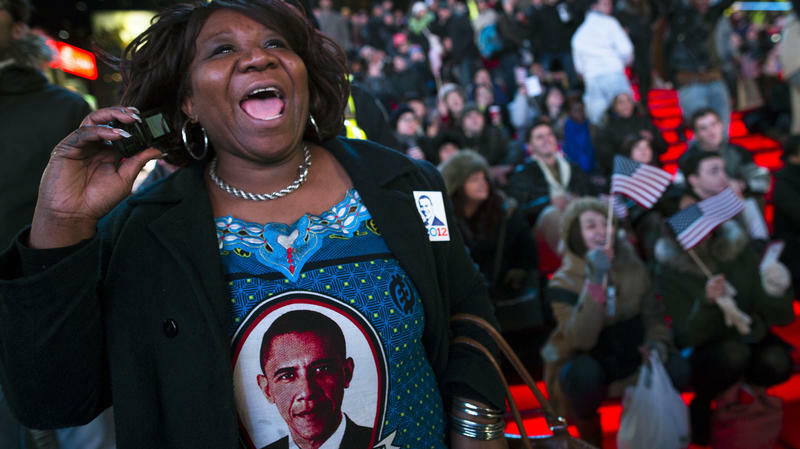 The euphoria of Barack Obama's supporters on election night four years ago was replaced Tuesday by relief, as the incumbent president won a second term over Republican Mitt Romney in an effort powered more by organization than by ideas. To retain the White House, Obama managed to overcome the handicap of an economy just finding its footing after a devastating recession, and an unemployment rate higher than it's been under any president seeking re-election since Franklin Roosevelt during the Great Depression. A slew of new presidential polls released this week not only confirm a long-established gender gap among voters, but also suggest that the male-female preference divide in this year's presidential contest could hit historic levels. 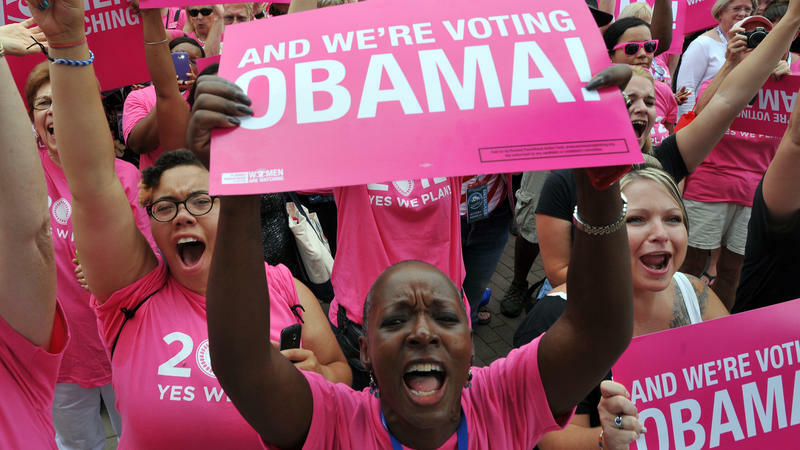 It may surprise that that divide appears not driven by social issues and arguments over reproductive care or choices, analysts say, but largely by the national conversation over the size of government. Republican presidential candidate Mitt Romney discarded his increasingly inert better-safe-than-sorry campaign strategy Saturday when he named budget hawk and Democratic bete noire Rep. Paul Ryan of Wisconsin as his running mate. President Obama may have disappointed the NAACP by appearing only via brief video message Thursday at the civil rights group's annual gathering — especially after Mitt Romney had personally taken the stage a day earlier. 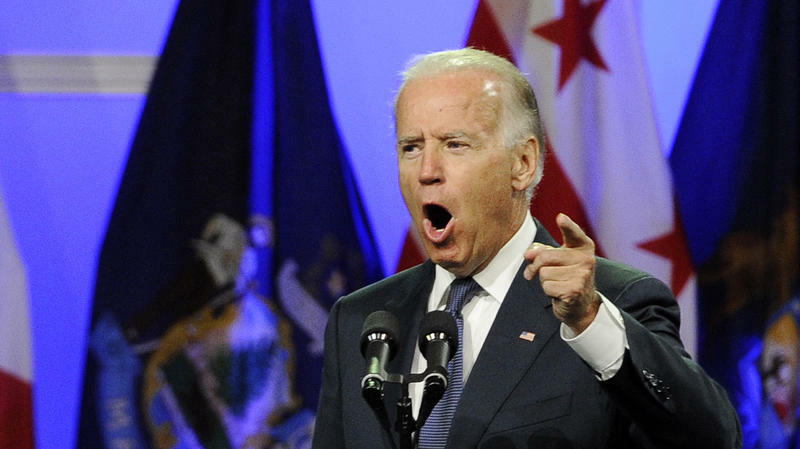 But sending in Vice President Biden to stir things up, just 24 hours after Romney was booed while delivering a conservative message meant to resonate beyond the walls of the Houston convention center, seemed to work out just fine for Obama. 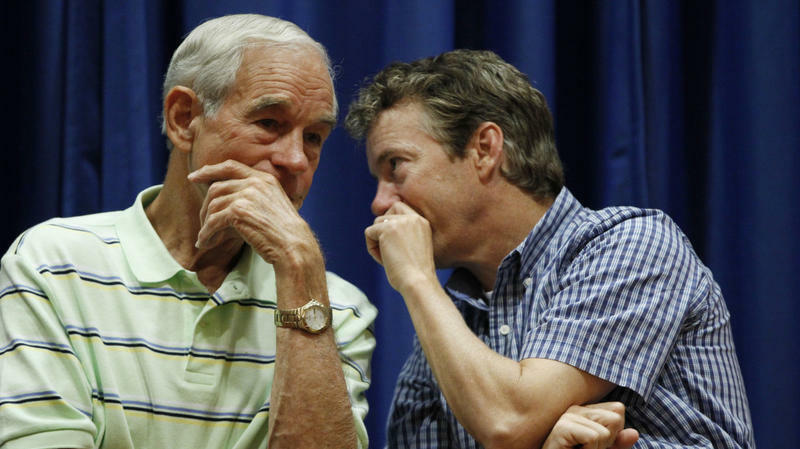 Mitt Romney Vs. Rand Paul In 2016? 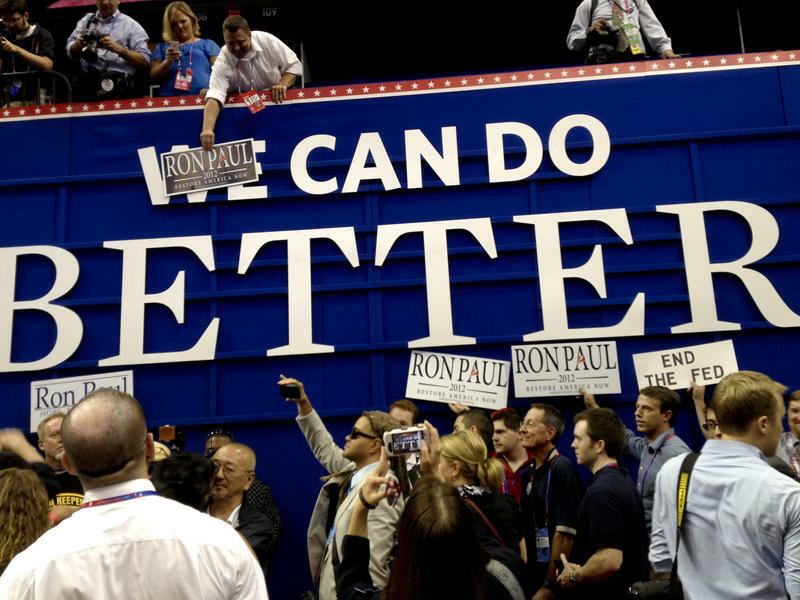 As sort-of-still-a-presidential-candidate Ron Paul continues to collect delegates at state Republican Party conventions, the question of what the libertarian Texas congressman wants has become more urgent in GOP circles. 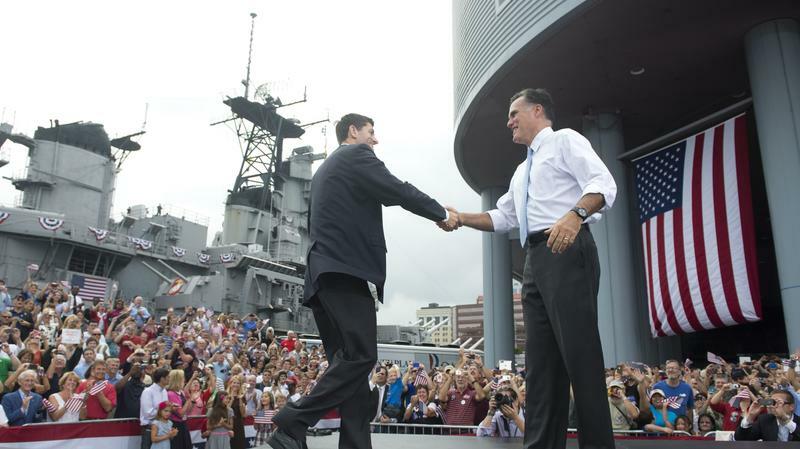 A speaking role at the Republican convention, where Mitt Romney is expected to accept the nomination? A seat at the party's rule-making table to advocate making it easier for non-mainstream candidates to compete in future GOP nominating contests? Well, yes, as a start. 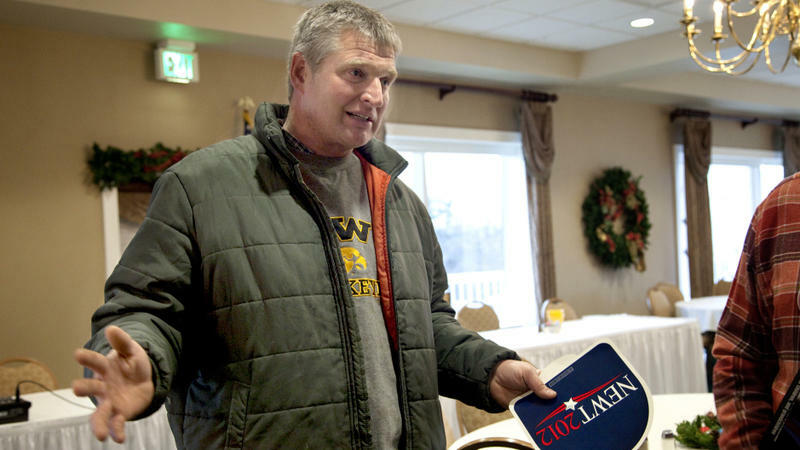 As NPR's Becky Lettenberger and I take to the road in Iowa this week, we are collecting the words and images of Iowa Republicans still uncertain who they will vote for in next Tuesday's state GOP presidential caucuses. Here's the first look at what we saw and heard Tuesday in two cities that hug the Mississippi River on the state's eastern border, Dubuque and Davenport. We spoke with voters after a Newt Gingrich appearance in Dubuque during a Rotary Club meeting at a local country club. 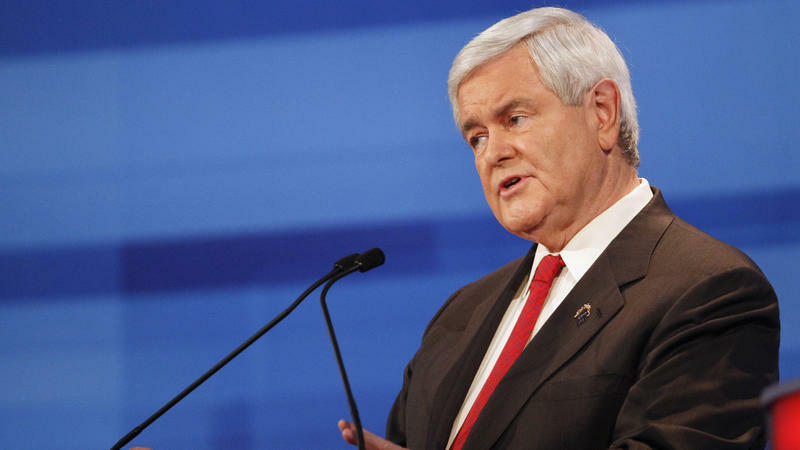 Newt Gingrich's proposal to put poor children to work because, he says, they're not learning the "work habit" in public housing projects has been condemned by critics as worthy of a Dickens novel. Those who followed the GOP presidential candidate's tumultuous legislative career in Washington say Gingrich's latest foray into child welfare is not an anomaly. 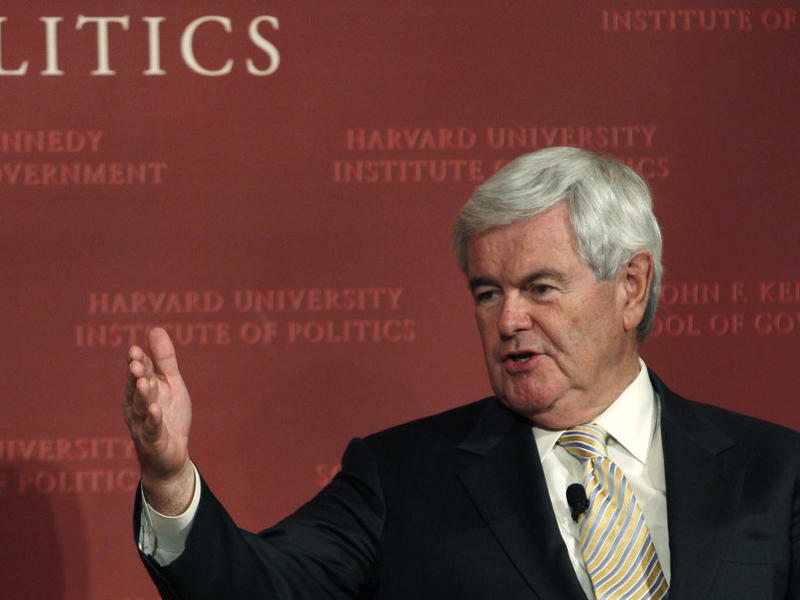 As House Speaker in the mid-1990s, Gingrich proposed banning welfare benefits for children born to unmarried young women and using the funds to build orphanages for youngsters whose parents were failing them. Texas Gov. 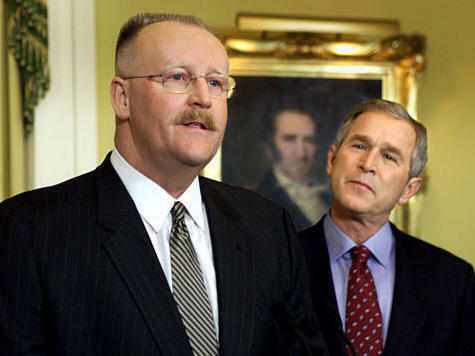 Rick Perry shook up his foundering presidential campaign Monday, bringing in old Republican Party hands, including former George W. Bush operative Joe Allbaugh who is to manage the effort. Allbaugh will be joined on the campaign by top GOP pollster Tony Fabrizio, a former strategist for Bob Dole; Curt Anderson, an established GOP media strategist; and Nelson Warfield, who was spokesman for Dole's 1996 presidential campaign. 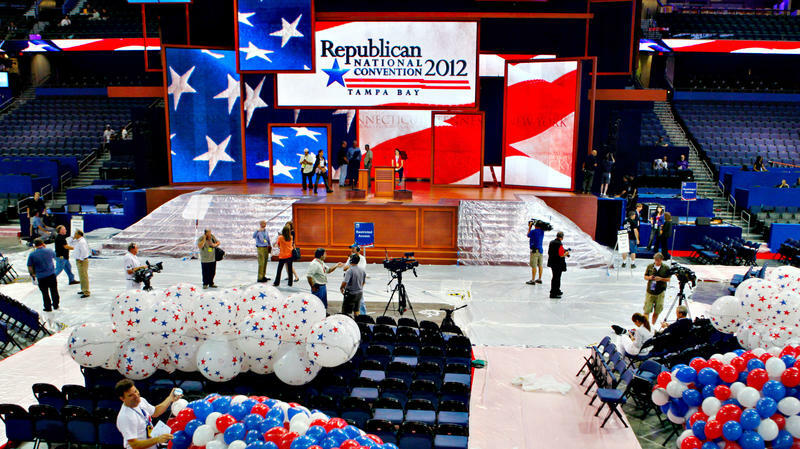 Fabrizio, Anderson, and Warfield all worked on Florida Republican Gov. Rick Scott's insurgent campaign last year. 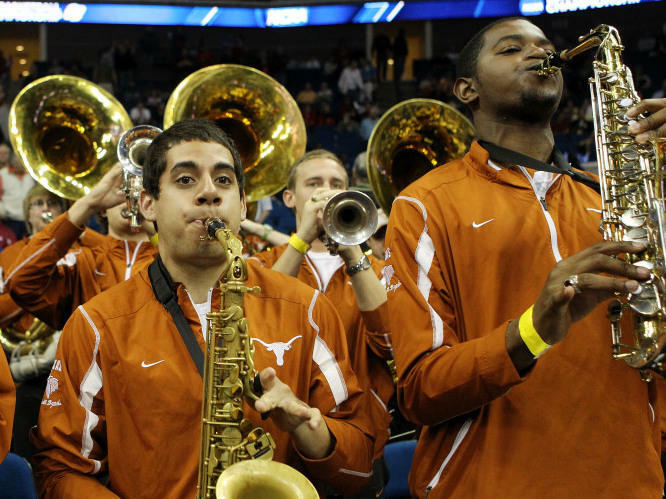 A Texas affirmative action case that has the potential to rewrite law on how or whether public colleges and universities may consider race and ethnicity as a factor in admissions could be headed for the U.S. Supreme Court, and soon. Though the court, which opened its fall term this week, has not yet agreed to hear Fisher v. the University of Texas at Austin, constitutional experts on both sides of the issue say they believe the case will be scheduled for a hearing this year or next spring, just as the presidential election season heats up. When Texas Gov. 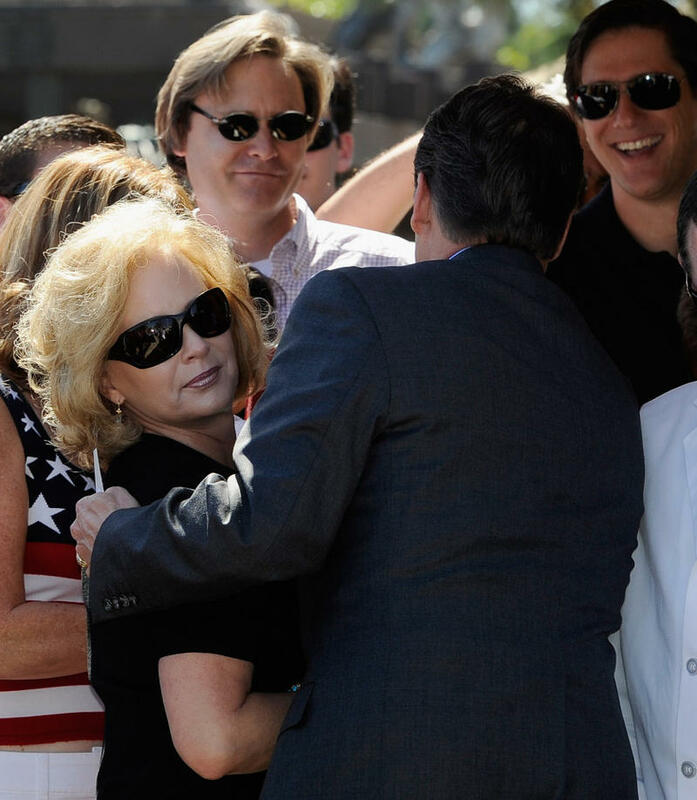 Rick Perry announced plans to run for president, he made a point of noting that it was his wife, Anita, who urged him to go for it, to get out of his "comfort zone." Step into the fray, she urged. That fray in recent days has taken a toll on Perry, who had a roundly-panned performance at GOP presidential debate last week followed by a surprising drubbing in Saturday's Florida Republican presidential straw poll. If the wildfires in his home state don't change his plans, Texas Gov. 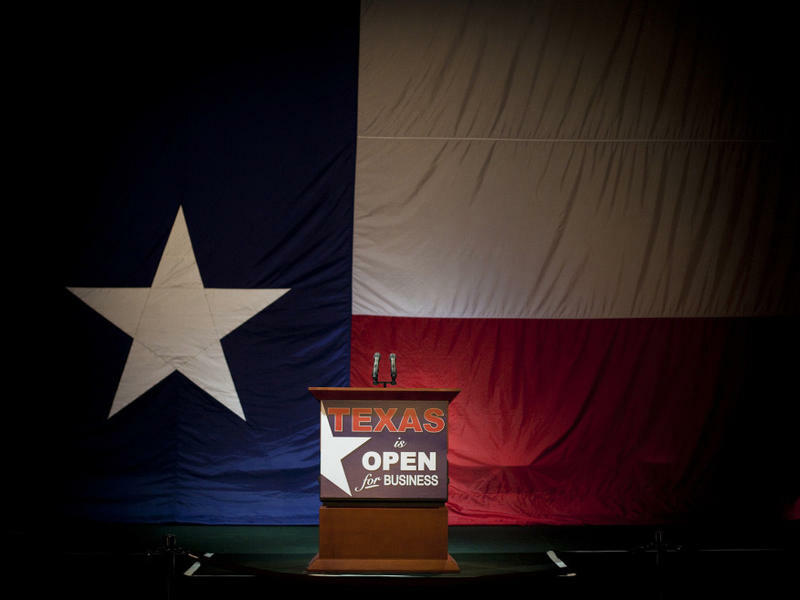 Rick Perry is scheduled to make his national debut Wednesday in his first debate with seven fellow candidates for the 2012 Republican presidential nomination. 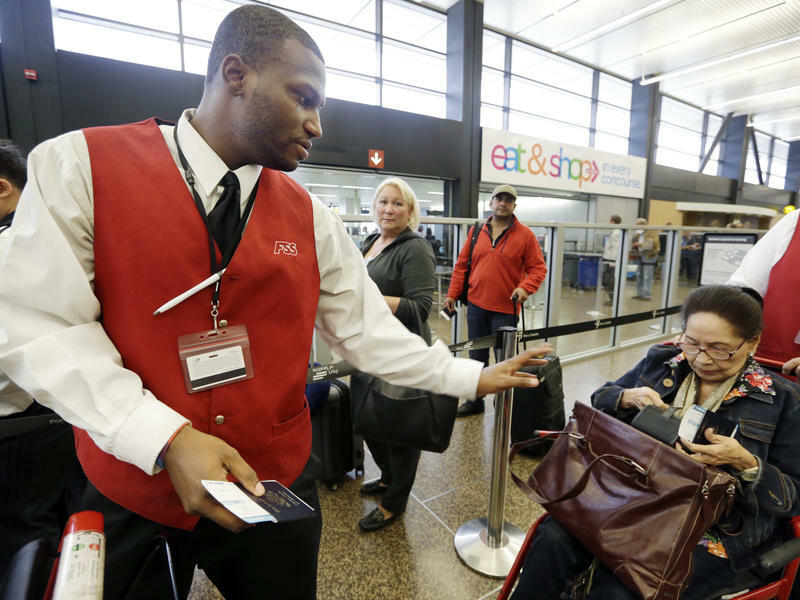 Are Michele Bachmann's Best Days On Campaign Trail Nearly Past? DES MOINES — These sunny August days in Iowa may prove to be Michele Bachmann's best as a GOP presidential candidate. On the eve of the state's Republican straw poll in Ames, where she is expected to either win or place, the Minnesota congresswoman hop-scotched central Iowa. 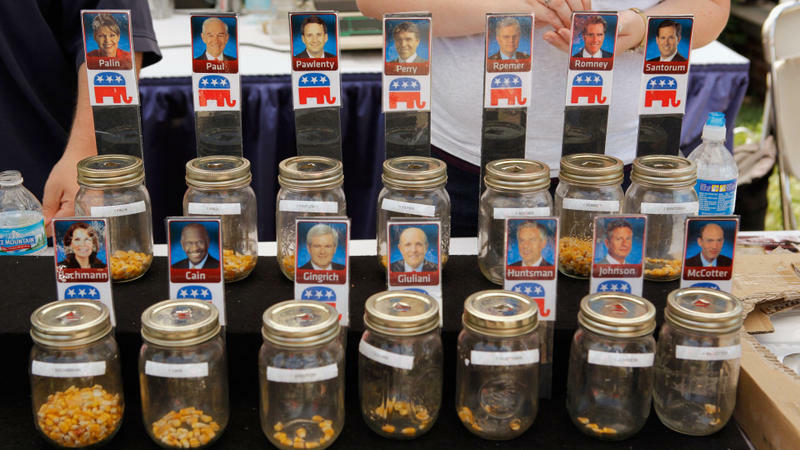 She charmed about 100 supporters and the curious in the tidy, Dutch-and-proud town of Pella, and drew easily the largest crowd of any GOP candidates speaking at the Iowa State Fair. They traded attacks and insults, argued about war funding and disparaged the man in the White House whose job they want. The two-hour, eight-candidate Republican presidential debate Thursday in Iowa, coming just days before the state party's presidential straw poll and in the midst of a national financial crisis, had the potential to matter — to elevate or, perhaps, eliminate a contender or two. Texas Gov. 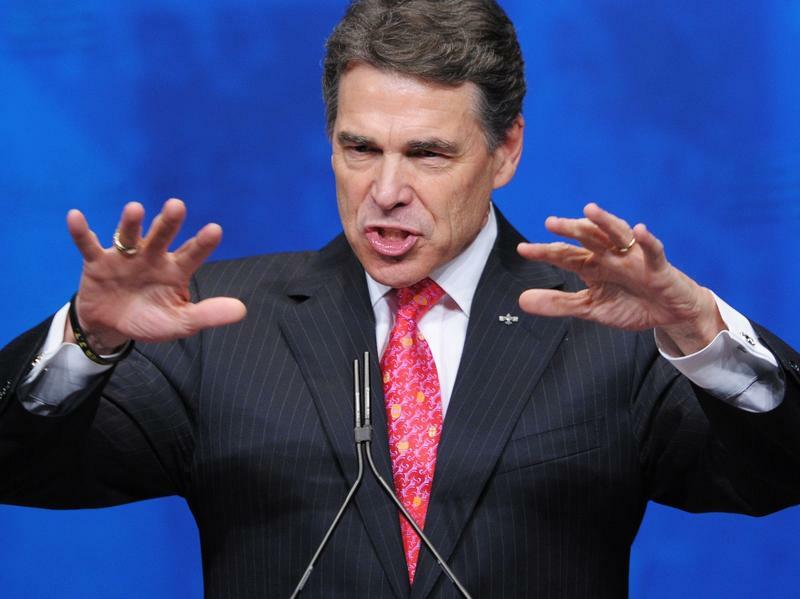 Rick Perry is the latest Republican to tantalize the restive party base with the prospect of a 2012 presidential run. The three-term governor, a favorite of evangelicals and the Tea Party faithful, has been meeting with potential donors and ramping up his public profile. He has also scheduled an attention-getting prayer event at a Houston stadium in August. Earlier this month, Perry told the Des Moines Register that he's getting "more comfortable every day that this is what I've been called to do."